Parking garage on Prince & Crosby. Take the R or W to Prince Street, walk one block south to Spring & one block east to Crosby. Or take the 6 to Spring Street & walk one block west to Crosby. You can also take the F or V to Broadway/ Lafayette & walk two blocks south on Broadway & make a left on Spring. 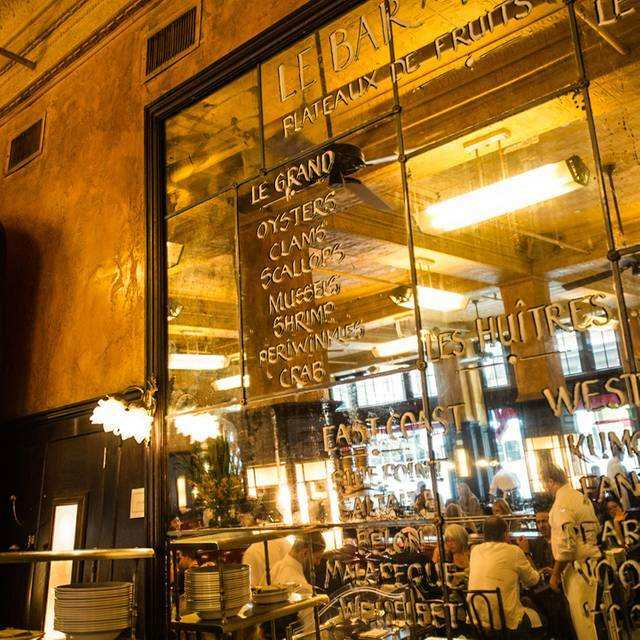 Balthazar is a traditional French Brasserie with a bustling railway station atmosphere. Our kitchen serves a variety of meat and poultry dishes including: Duck Shepherds Pie, Roasted Chicken and Steak Frites. 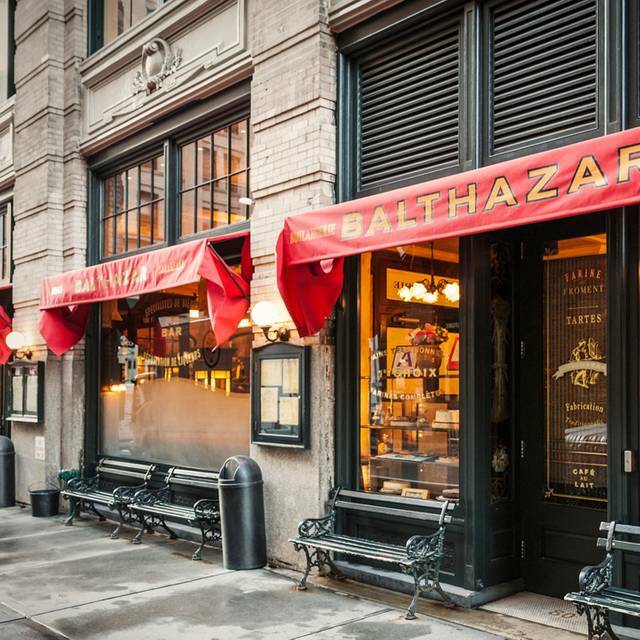 Balthazar specializes in seafood with an array of fish entrees and a complete raw oyster and shellfish bar. The incredible People Watching available at Balthazar makes scrunching into a tiny table and overpaying for brunch totally worth it. Say whatever you want about this place, you can’t take away the fact that the kitchen gets it done. It's a sure visit every time we go to NYC. The service, the food, everything is outstanding. It is not for the frugal consumer, but it's not out of range for NYC either. One of our favorite places, without a doubt. We always make a pilgrimage when in NYC, and Balthazar never lets us down! A+ again! 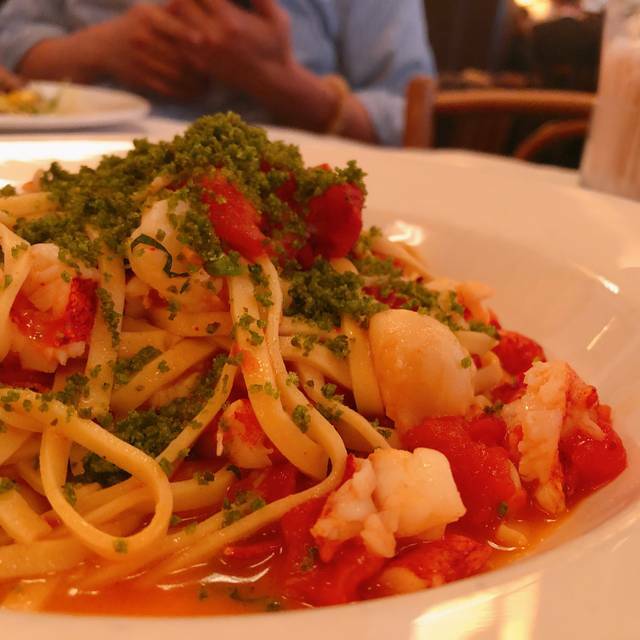 Simply delicious with attentive service. Great service. Very friendly staff. Went with our kids and staff went out of their way to engage with them. They gave our kids complentary Shirley temples if they tried to pronounce the French entrees. We passed on dessert but they gave us a dessert on the house anyway. Salad nicoise and branzino were outstanding. Mussels were not as good. Delicious breakfast/brunch spot with great energy. Basic restaurant. Not such great as we thought about. Service is not the one expected if you are coming from Europe where servit amd hospitality is one step forward. An $18 cocktail should not come in a wine glass filled to the brim with ice and garnished with a plastic straw and browning lime wedge. Food was fine, but nothing to write home about. Service was impersonal and robotic feeling. Excelente servicio y ubicación. Sabor de platillos muy ricos. Been going there for years, for the good food and the stellar service. Had the worst waiter I've ever had there this time - rushed, borderline hostile, acted irritated when we'd make a simple request or ask for more information. First time, ever, at Balthazar that that's happened. I'll find another bistro in future. It's not as though there's a scarcity. As usual, service, food quality, price, everything was excellent!! I came for lunch today with my family, the food was very tasty and the service was attentive. We were running very late for our reservation but they still accommodated my family with an amazing table. The wine selection is also great and affordable. Is Balthazar slipping? 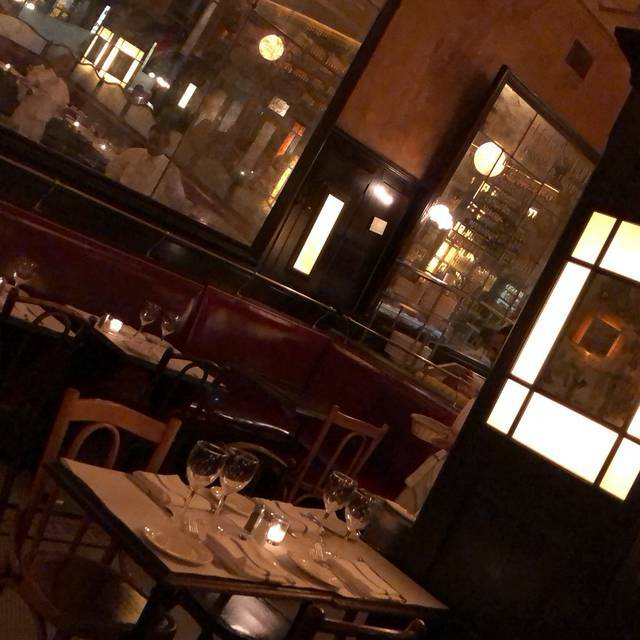 I love the place but my last visit wasn't fun because of a disconnected waiter who lacked the professionalism I expect in a place like Balthazar and sort of threw the food at us. At 9pm they were out of the Monday night lamb special, which was half the reason we came. 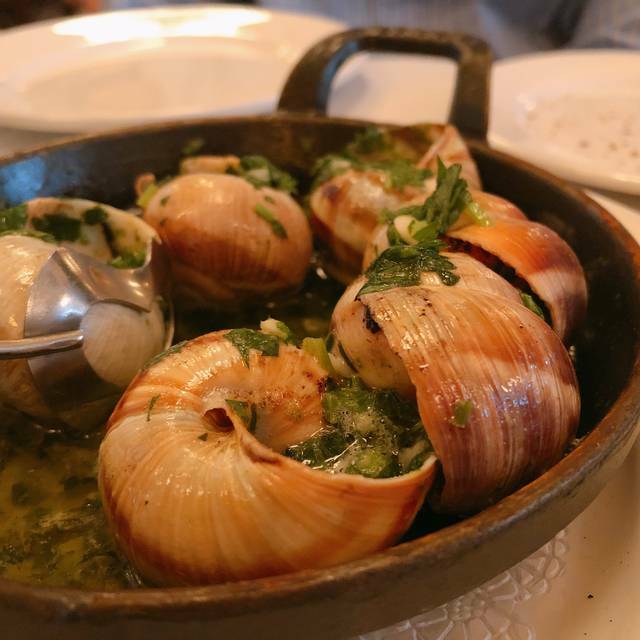 My cocktail was excellent and the same for the steak but the snails were haphazard and in 3 cases required an engineering degree to extract them from their shells. 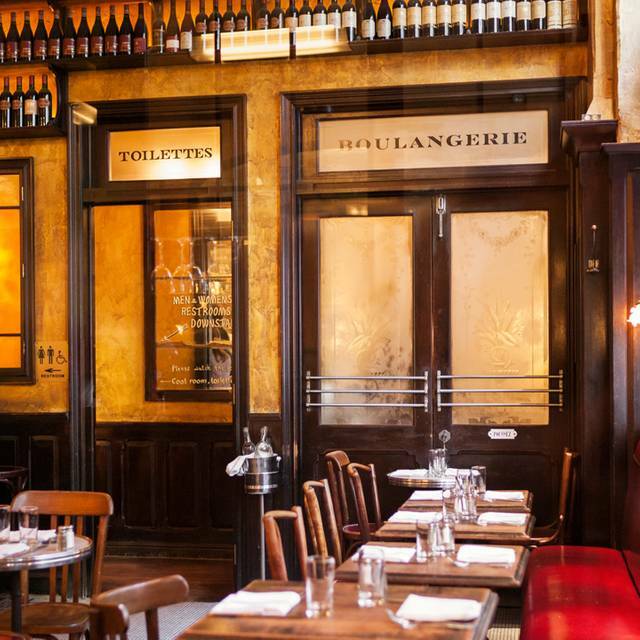 I go to Balthazar 6-8 times a year but this last visit was a downer. Muy buen servicio! Pedimos dos platos para compartir y sin que lo pidiéramos nos trajeron todo en dos platos separados para que pudiéramos comerlo cada uno por su cuenta. El servicio no estuvo muy bueno, la mesera estaba con mala cara. El vino no me gusto. The restaurant was completely full even on a weekday afternoon. Both the duck and the salmon were delicious as described. Thankfully the hostess kindly assigned us a corner table providing a slightly less energetic environment. Reservations are definitely required. My wife’s birthday dinner. Great food. Decent waiter service. A bit to close to other patrons but it’s NYC. Very tight seating, but so great overall that we went back the next day. So good. Cross-Atlantic family reunion worth $500!! This place in Soho is way overpriced. 2 orders of simple Eggs Benedict, one Bellini, one cafe and one OJ and One creme brûlée. Bill was 102$! For two! No special anything. Bread was cold n doughy. Table Bread wasn’t suitable for a brunch at all. Doubt if I’d return. Not for brunch or breakfast, at least. Loved it! We'll be back. We went for brunch and everything was great. Consistent. 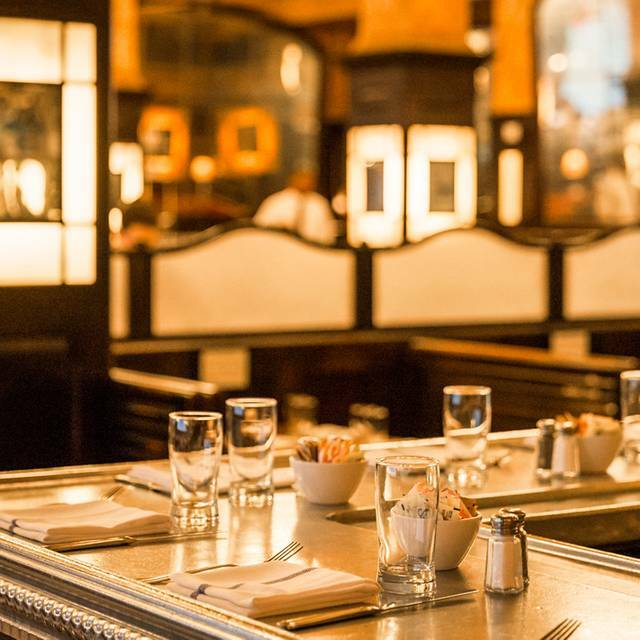 You can not go wrong at Balthazar. A bit crowded and cramped at times. Would benefit from removing a few tables so you are not on top of your neighbor, but still a great spot. I love Balthazar’s. Great food. Great ambiance. We love the food here! It’s definitely one of our favorite lunch places when we get to NYC. We have been there several times before, but this time we were very disapointed. Our steak was like hard gum. 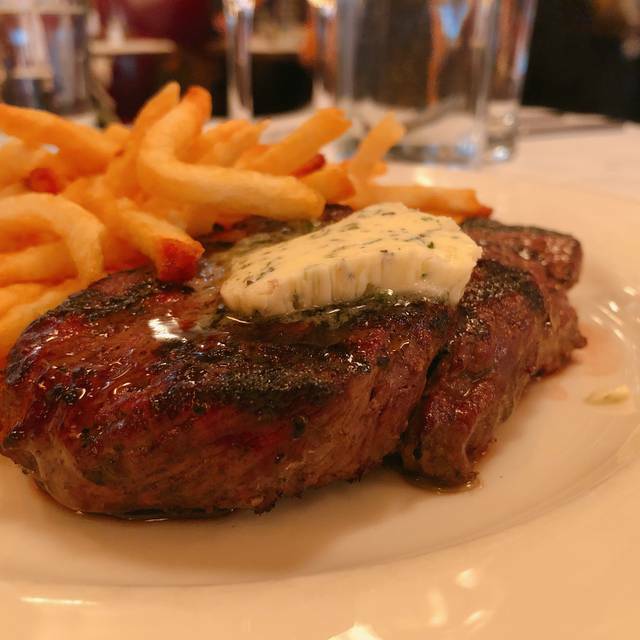 I hadn't visited Balthazar in several years and it was even better than I remembered! The food was amazing, and the service was beyond outstanding. Our server had her hands full, so multiple other staff stepped in to make sure that we were never left wanting for anything. Love the ambience and can't wait to go back! Steak frites was very chewy at medium rare. 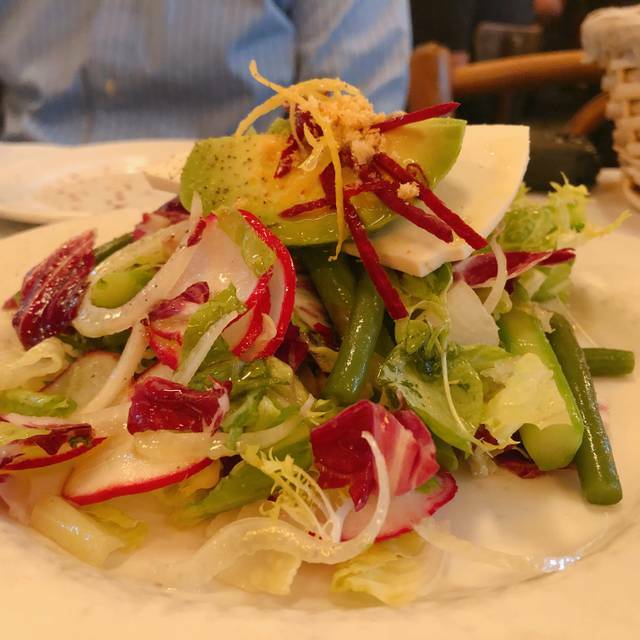 Excellent friseé salad, great desserts. I ordered a burger and for it being Balthazar it was just OK and the fries were cold. I brought a Producer here and it was disappointing rather than impressive. Thank you. THE best breakfast in New York. Certainly the most civilized.